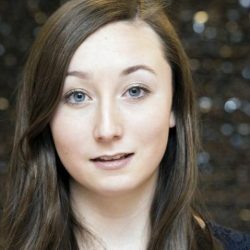 Ciara Judge is a seventeen year old student from the small town of Kinsale, Cork, Ireland who over recent years has attained international recognition for her youth science and academic achievements. With a passion for innovation and creative thinking, Ciara and her teammate have just launched their own company, Germinaid Innovations. Ciara Judge is a seventeen year old student from the small town of Kinsale, Cork, Ireland who over recent years has attained international recognition for her youth science and academic achievements. Ciara and her teammates Emer and Sophie, as former overall winners of the BT Young Scientist Exhibition, Ireland’s National Science Fair, represented Ireland in the European Union Contest for Young Scientists in 2013 where they were also awarded First Place. They subsequently won the Google Global Science Fair in September 2014, for an innovation which aims to improve food crop productivity and assist food security issues. Over a three year period the girls used a naturally occurring bacteria to speed up the germination and subsequent growth of cereal crops. They succeeded in demonstrating a decrease in germination time of 40% and an increase in crop yield by over 50%. Their discovery has significant implications for future food crop production. During this period Ciara also kept an eye on her studies and in September 2013 she was recognised nationally as achieving the joint top overall result in the Irish State Junior Certificate Examinations. In October 2014 Ciara was recognised by Time magazine and the Huffington Post as being amongst the top 25 most influential teenagers in the world. She was named as ‘Rising Stars- Ones to Watch’ on Silicon Republic’s top 100 women in Science, Technology Engineering and Maths (STEM). She has had the opportunity to speak at various conferences around Europe such as the EU Innovation Conference in Brussels, Accenture International Women’s Day ‘Women in Stem’ Conference and at the Thought for Food Global Convention in Lisbon in February 2015. In the April 2015 she was on stage with Sir Richard Branson and addressed an audience of 12,000 in the Wembley Arena in London and a global online audience at a youth empowerment event called ‘We Day’. This was followed by a working lunch for International Women’s Day in Brussels with the EU Commissioner for Research and Innovation Mr Carlos Moedas discussing the topic of gender imbalances in STEM. 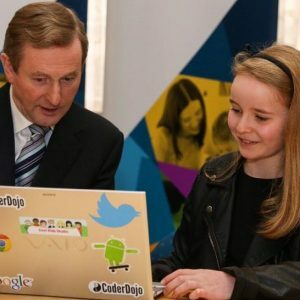 Ciara is a founder member and former Chairperson of Ireland’s Digital Youth Council, the first of its kind in Europe. She has also participated in and been a speaker at fora focusing on the engagement of young people and technology. She was a keynote speaker at the 2014 National Digital Forum (Convention Center, Dublin) and more recently the European Tech Summit in May 2015. She has a passion for innovation and creative thinking and she has been invited to attend MIT Launch, a Young Entrepreneurs Program at the Massachusetts Institute of Technology, Boston during the upcoming Summer break. Ciara and her teammate Emer are now working on taking their innovation in a new direction and have just launched their own company, Germinaid Innovations, at a youth business incubator forum in London attended by Princess Anne. Ciara is also a normal teenager with a keen interest in contemporary performances and playing and composing music. She is co-leader of the County Cork Youth Orchestra, plays the violin, piano and guitar, and takes part in equestrian eventing and cross country trials.